Private 107711 Frederick William Powers, 180th Company, Labour Corps (formerly Pte 35985, 3rd Labour Company, Hampshire Regiment). 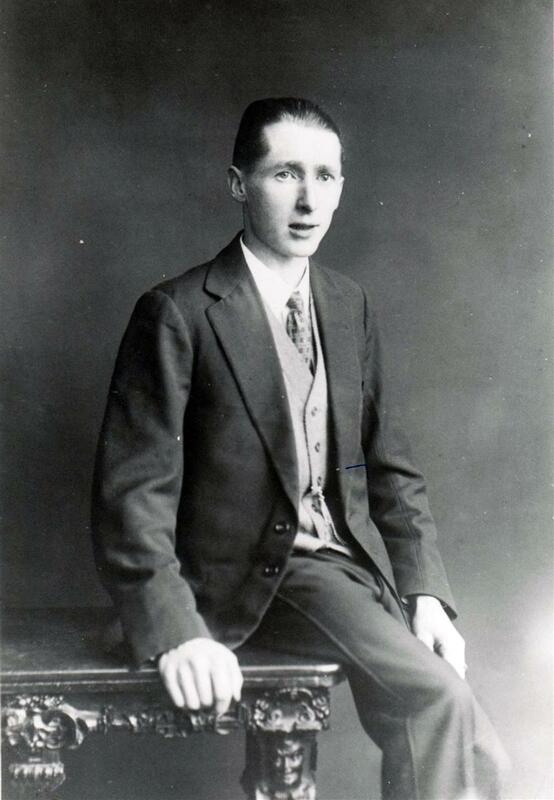 Frederick was born in Newbury in 1895, the only son of William George Powers and his wife Martha Ann, née Tucker. He had two sisters: Florence Ethel (born 1894) and Beatrice Maud (1899). The family lived at 2 Greenham View, the middle of a small terrace of three cottages at the end of St Mary’s Road, facing on to Victoria Park. The cottages have since been demolished and replaced by their 1980s equivalent. These were good working class homes, three bedrooms with running water and a WC, accommodation commensurate with William’s position as a printer and compositor. It is not known who William worked for, but the most likely employer of a man with his skills was Blacket & Turner, general printers and proprietors of the Newbury Weekly News. Frederick was educated at Speenhamland School, where he would have had a very basic education – schooling in those days was not about unlocking a pupil’s potential, just preparing them to be a more effective member of the work force. By 1911, aged 15, he was employed, according the the census, as a ‘baker’. This seems a somewhat grandiose job title for a 15 year-old, a baker’s apprentice perhaps, or a baker’s delivery boy. It is not clear when he enlisted, but it is known that he served for a while in the Hampshire Regiment; his records held by the Commonwealth War Graves Commission list his service in the regiment’s 3rd Infantry Labour Company. Service in a labour company suggests that his level of fitness was below that required for a combat infantryman, though the labour companies would often work in the front lines, digging trenches, fetching and carrying etc. Many in the labour companies were men who had served as infantrymen, whose fitness had be degraded after being wounded. This may have been the case with Frederick, but there is no evidence to show it. The odds are that he was conscripted in 1916, found fit for overseas work, but not for combat and, hence, posted to a labour company. In 1917 the regimental labour companies were absorbed into the newly created Labour Corps. In this process the 3rd Infantry Labour Company, Hampshire Regiment became the 180th Company of the Labour Corps. Frederick was killed in action on 28 August 1918, at this time the 180th Company was attached to the Canadian Corp – four divisions that had been kept up to strength when all the British divisions had been downsized earlier in the year. The Canadians were involved at the forefront of many of the offensive actions from August 1918 that steadily pushed the Germans back towards their homeland. From 26 to 30 August they were in the thick of the Battle of the Scarpe, an element of the Second Battle of Arras. As the infantry pushed forward Labour Corps troops would be right behind them with a key task of creating roads, light railways etc that would enable supplies and reinforcements to reach the forward troops as soon as possible. They would also be used to create gun emplacements so heavy artillery could be rapidly moved up to cover the troops as they advanced. There were also the dead to bury and defensive positions to prepare in case of an enemy counter-attack – a lot to do and not a lot of time to do it in. There were also many hazards: enemy artillery and aircraft would be trying to disrupt the forward movement of men and supplies; unexploded shells were everywhere; and, in places, the enemy had left booby-traps to injure or kill the unwary. It is not known how Frederick met his end, but casualties were inevitable, even in the Labour Corps. Frederick was buried in grave IV. K. 12 at Maroeuil British Cemetery a few miles north-west of Arras. Locally he is remembered on Tablet 5 of the Newbury Town War Memorial, on the parish memorial board and roll of honour in St Nicolas’ Church, Newbury, and on the Speenhamland Shrine (formerly in St Mary’s, Speenhamland, but now in St Nicolas’). 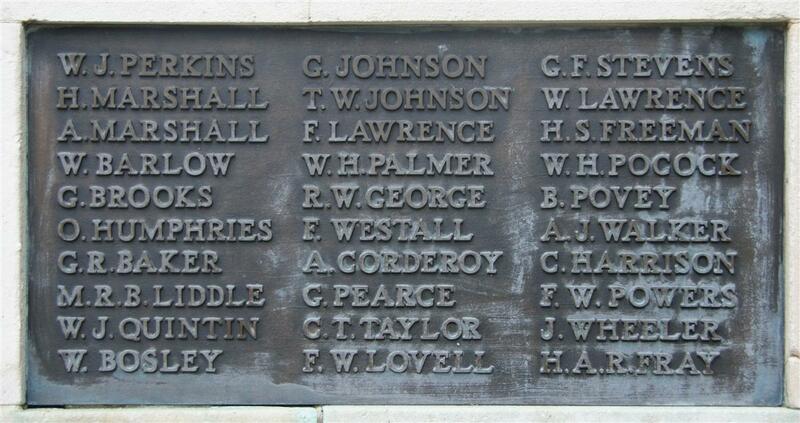 He was also among the names on the memorial board in Speenhamland School (now lost). As an only son, Frederick had no siblings who had to experience war, but he did have cousins, notably William and Ernest, sons of his father’s brother, Benjamin Charles Powers. The majority of the service records of ‘other ranks’ in the British Army were destroyed in a fire during the blitz in WW2; however some had survived, not Frederick’s, but both William’s and Ernest’s. William George Powers had enlisted in the Territorial Force (TF) in 1911; when war came he was called up and soon volunteered to serve overseas (the TF were enlisted for home service only). 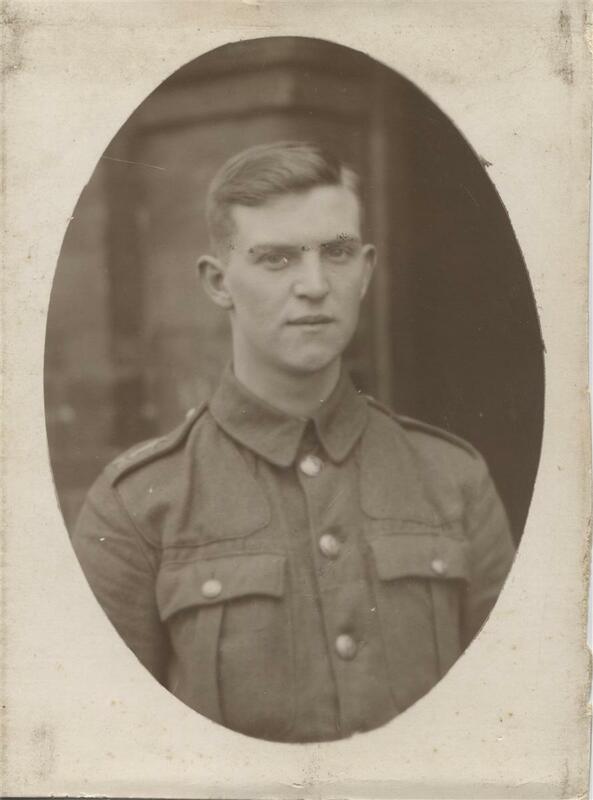 He went to France in March 1915 with the 1st/4th Royal Berkshire Regiment and served with them until the 18 March 1916 – when he was sent to ‘Base’ for onward journey to England where he would be discharged. His discharge was the result of his period of service expiring; he had signed on for four years on 27 March 1911, which could be, and was, extended by 1 year under the terms of his enlistment. In January 1916 the Military Service Act was passed by Parliament, which empowered the Army to re-enlist time-served men. However, this power did not come into effect immediately, single men could be re-enlisted from 2 March, married men from 25 May William was not married, so he could have been compulsorily re-enlisted, but he was lucky and sliiped through the bureaucratic net. He did not excape completely though, he re-enlisted in November 1916, joining the Navy. After the war he returned home and lived out his life in the Newbury area dying in 1969 aged 76. 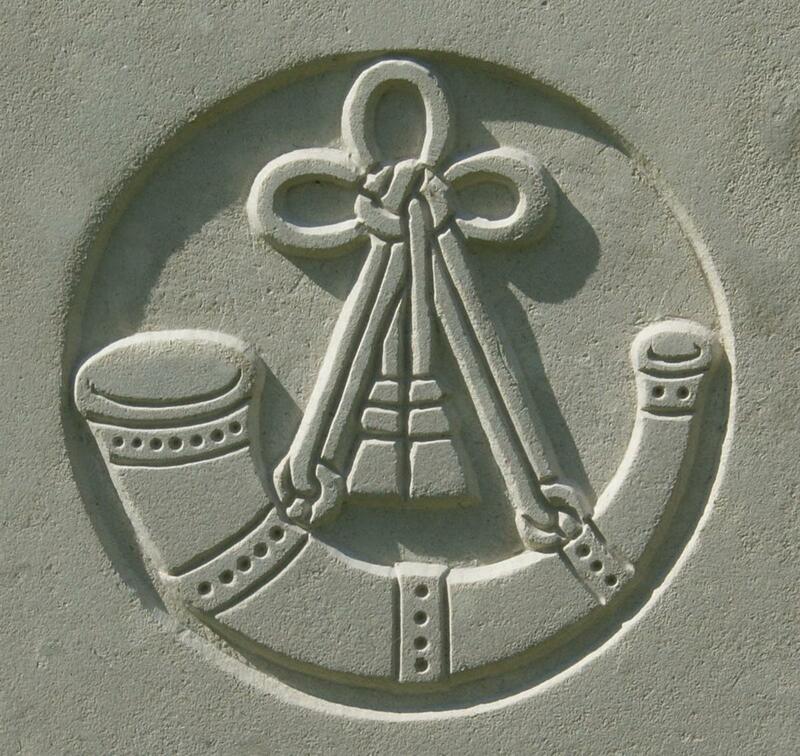 The regimental badge of the Ox & Bucks Light Infantry, as used on CWGC headstones. Charles Ernest Powers, known as Ernest, enlisted on 13 September 1915 with the Oxfordshire and Buckinghamshire Light Infantry, the Ox & Bucks or OBLI, regimental number 19724. After training with their 9th Battalion, Ernest was drafted to their 6th Battalion in France on 15 January 1916. He spent two years with the battalion, with a break in hospital after being wounded in the back and hand in 1917. In February 1918 the 6th Battalion was disbanded as part of a reorganisation of the British Expeditionary Force. The men were transferred to other battalions of the regiment, Ernest being posted to the 2nd Battalion. During the German Spring Offensive in March 1918 the 2nd OBLI were in 5th Brigade, 2nd Division, V Corps, Third Army. Third Army were covering the northern section of the German’s initial assault. Overwhelming German force pushed them back with heavy losses, many died, many were taken prisoner and, of course, there were many wounded – including Ernest. Mr and Mrs Powers, of St Martins, Kiln Road, Shaw, received the news from the War Office that their son Ernest has sustained severe gunshot wounds in the leg and chest, and is now lying in Newcastle Staff Hospital [sic]. He shows the spirit of our lads by writing quite cheerfully and saying little of his suffering. 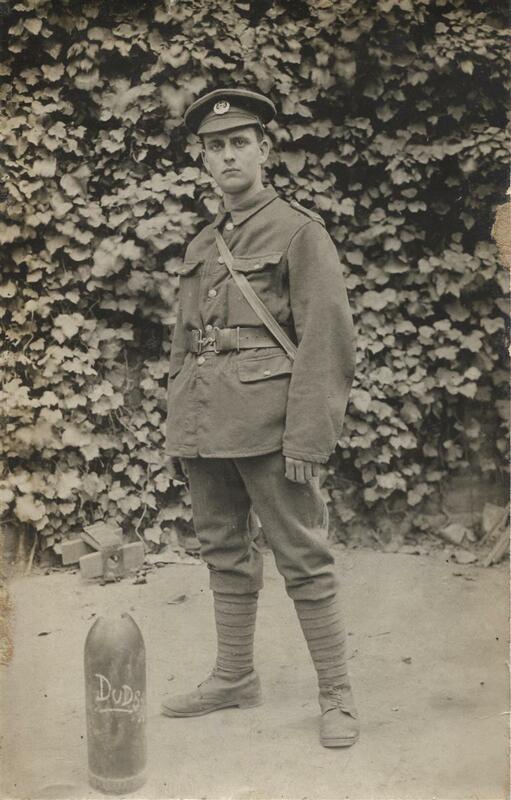 Pte Powers joined up in 1915, and he went to France the following year and was wounded in the back and hand last year. Mrs Powers has two other sons with the colours, William, of HMS Neptune, in the North Sea, and Arthur, who is training in the Royal Flying Corps at Halton Camp. By July he was well enough to go home on leave, but his treatment was far from over. At some point he was transferred to the 680th Company, Army Service Corps (no. T/445142), perhaps to do some light duties, perhaps as an administrative convenience. He underwent operations to remove bullets and splinters from his leg and chest, leaving him permanently scarred. After a major operation on 10 February 1919 he was recommended for discharge, which took place on 19 March. He never fully recovered and died in 1944, aged 50, but not without marrying and having three children. A third brother, Arthur, was born in 1900, too young to see active service during the war, though, as mentioned in the newspaper article above he appears to have joined the Royal Flying Corps at the age of 17. He returned to Newbury and lived a full life, dying in 1978. Thanks to Mavis Brind, Ernest’s daughter, for the family photographs.